Not in the know on the topic of fruitcake? 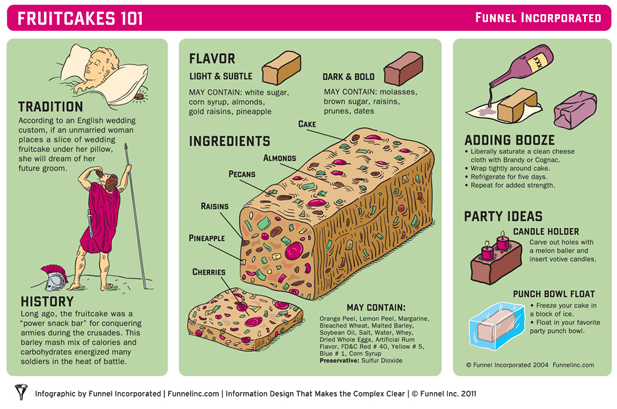 A fruitcake is more than a brick of dried fruit and flour – you should know that. Learn the basic ingredients, optional ones, fruitcake origins and alternate uses for fruitcake if you just can’t bring yourself to attempt digestion.